Hotel Relax Inn At Ashland, Ashland, United States of America - Lowest Rate Guaranteed! A stay at Relax Inn At Ashland places you in the heart of Ashland, a 5-minute drive from ScienceWorks Hands-On Museum and 6 minutes from Schneider Museum of Art. 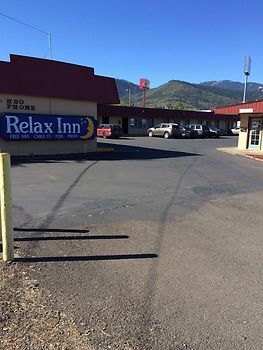 This hotel is 1.8 mi (2.9 km) from Southern Oregon University and 3.2 mi (5.2 km) from North Mountain Park. Affordable, convenient location, just what we needed for the price-- the coffee, cereal and rolls were a nice addition :) The beds were more comfortable than higher priced hotels we have stayed at in the area. It was nice to be able to cool off in the small, clean pool! Clean, good price, cable TV, fridge and micro. Liked the pool, the cleanlines of the room, the cable TV. Liked the bed, the fridge and the microwave. Did not like the fact that there are no toewl racks or hooks to hang your wet towel. No bath tissue for us allergic folks with runny noses. Every other plastic ring holding the shower curtain was broken. At the last minute we needed a place to stay with our daughter who had just hiked the PCT for 3 weeks. It was clean, the price great and in a great location. It is older but newly redone and very clean.